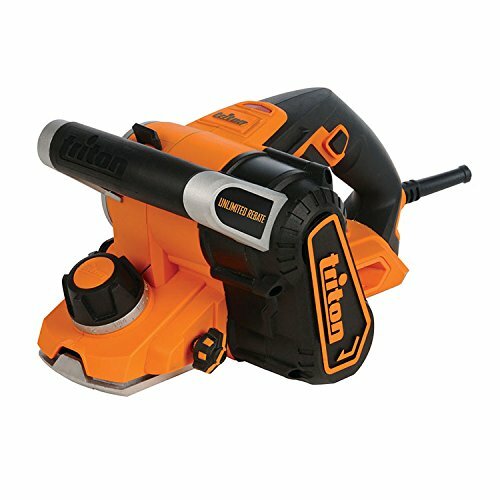 Unlimited Rebate Planer 750W 17-position depth control for precise material removal, lock-off switch and low-vibration front handle for added comfort. Left or right rear dust extraction. Power indicator. Removable blade drum system allows fitment of interchangeable sanding drum. Cutting capacities: width 82mm, depth 3mm. Weight 3.9kg.